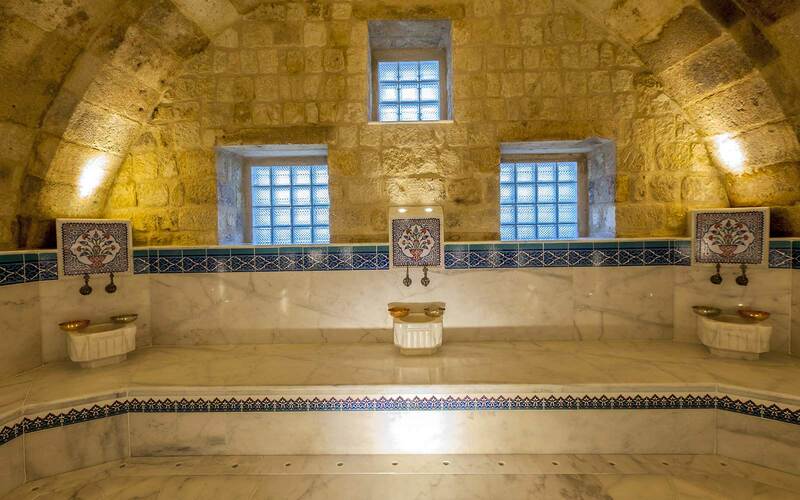 The Hamam, also known as the Turkish Hamam or Turkish Bath, is the Middle Eastern variant of a steam bath, which can be categorised as a wet relative of the sauna. 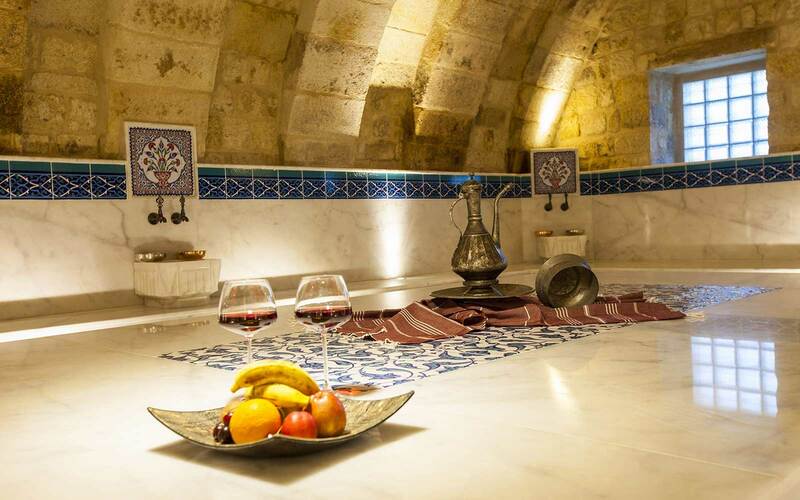 Although the first hamams originated in Arabia and bath culture was a central part of Roman life, Turkey popularized the tradition by making hamams available to people of all statuses. 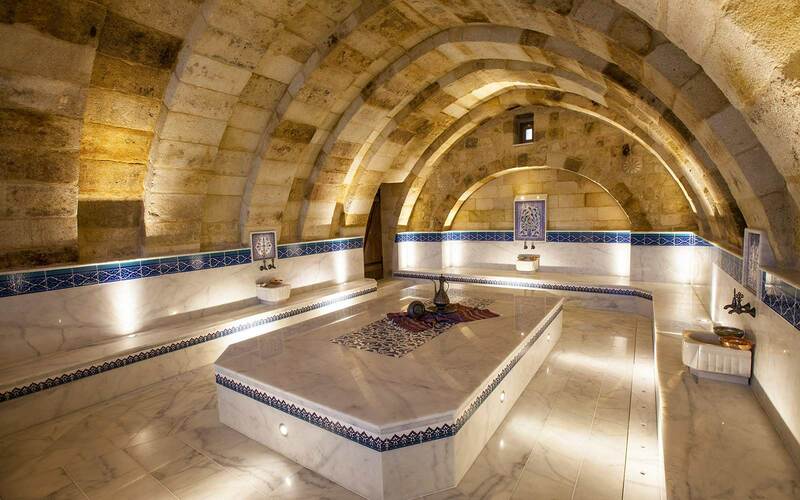 For centuries Turkish Hamam continues to exist as one of the major components of the Ottoman and Turkish hamam culture with its unique architectural beauty. 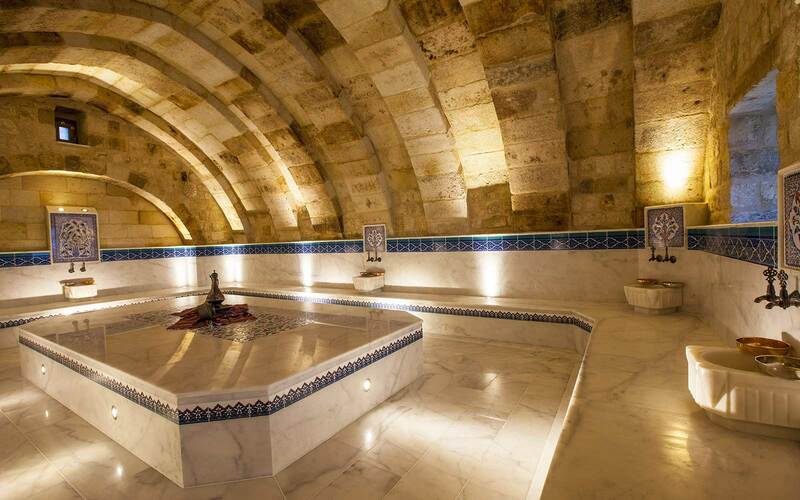 Hamam that was built with the purpose of the water use for health is not only a cleaning place for Turks. 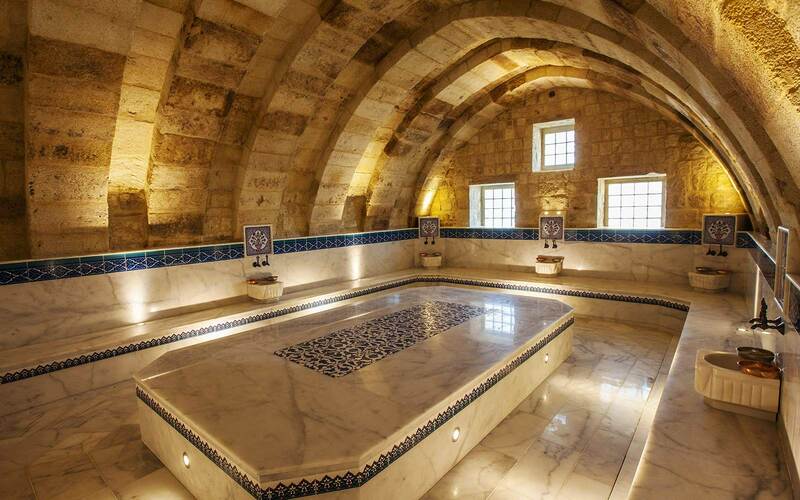 Turkish Hamam is also health and entertainment centre where people are having social activities. 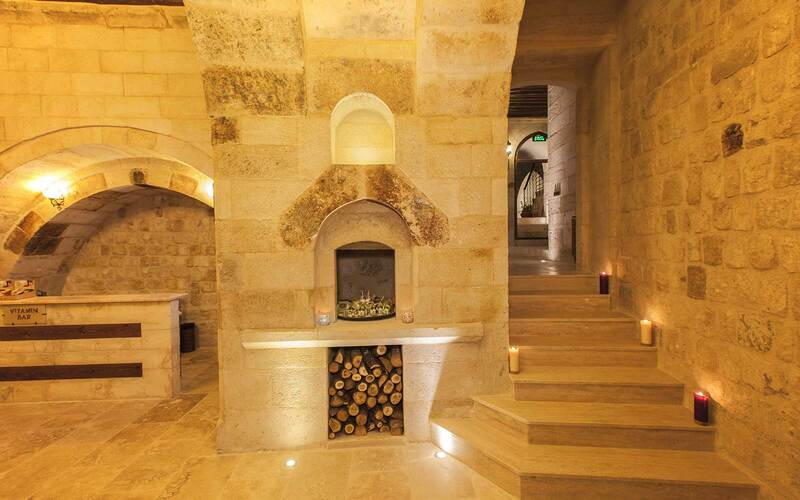 Turkish Hamam is the home of the tradition of physical and spiritual purification. 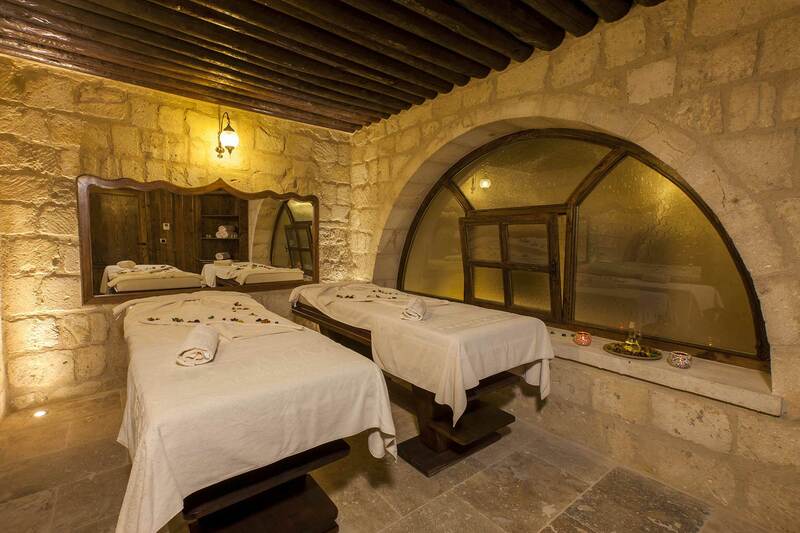 The body and skin is cleaned and they are purified from toxins, the blood circulation increases, immune system is stimulated so that the physical and mental system is supported with Turkish Bath. 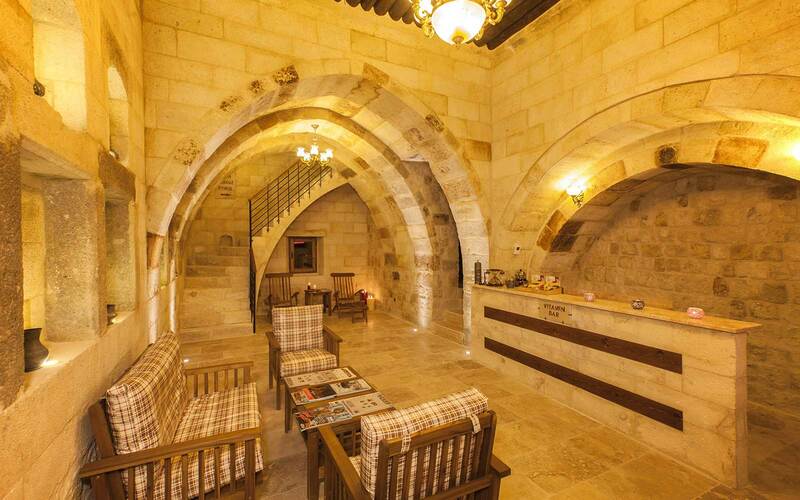 At Kayakapi Premium Caves - Cappadocia to enter the Hamam on your own is included in the room rate. 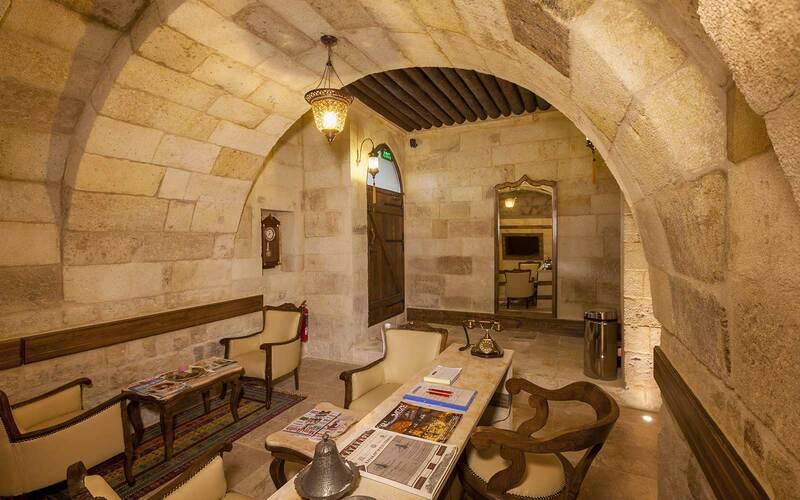 But to enjoy the Hamam to the fullest we recommend our guests to take the "Ottoman Massage" which due to a small fee. 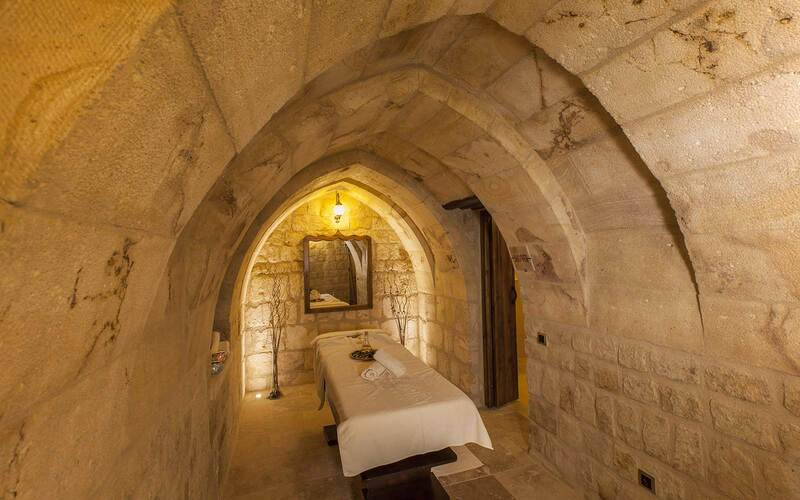 More information can be found on the Massages section on this page. 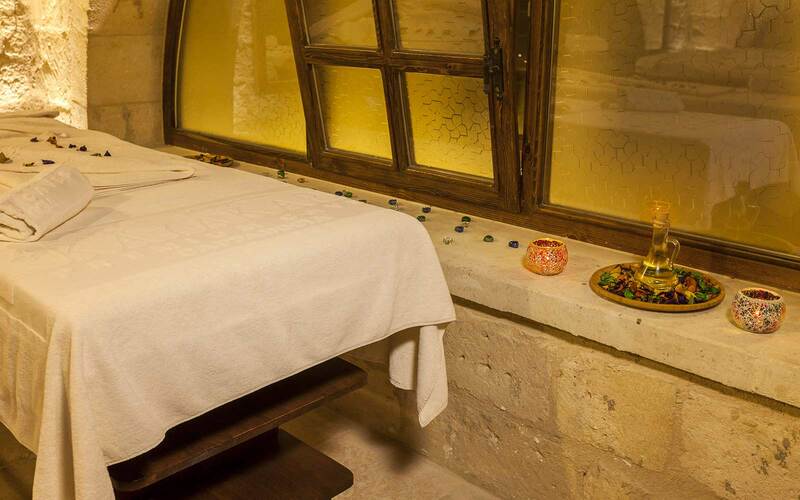 Heat is one of the oldest of human body therapies. 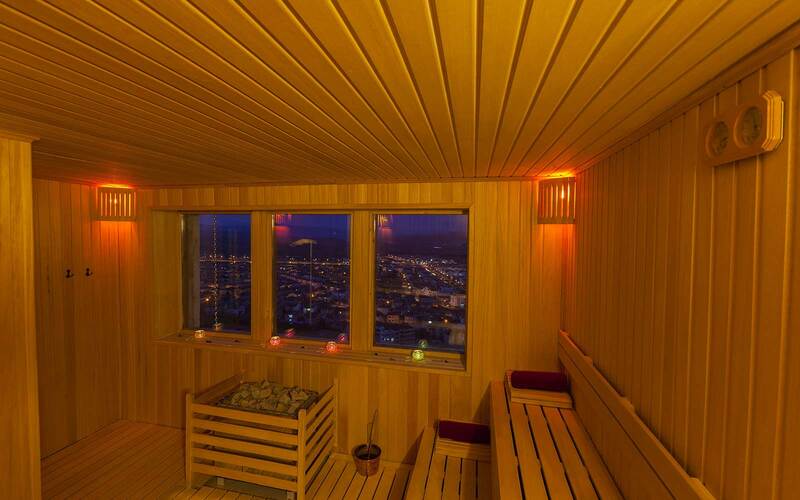 The heat factor in the Sauna raises the body temperature above normal and stimulates the immune system. 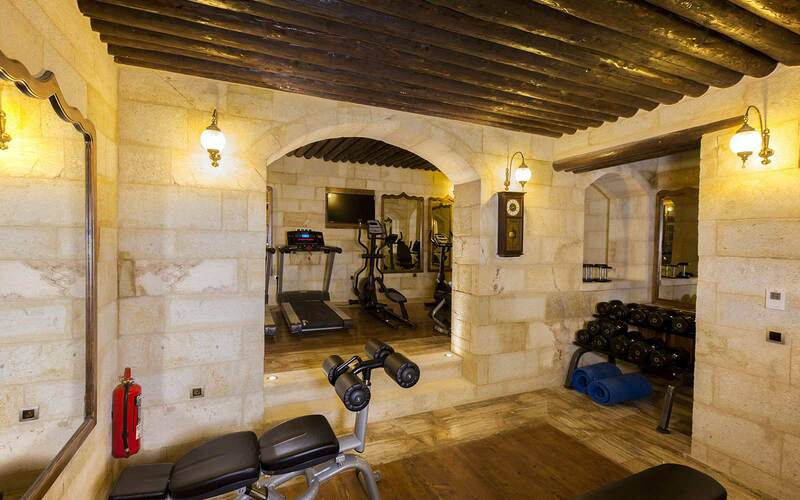 Heat makes you sweat and relax, lower your pulse and blood pressure by causing blood vessels to dilate. 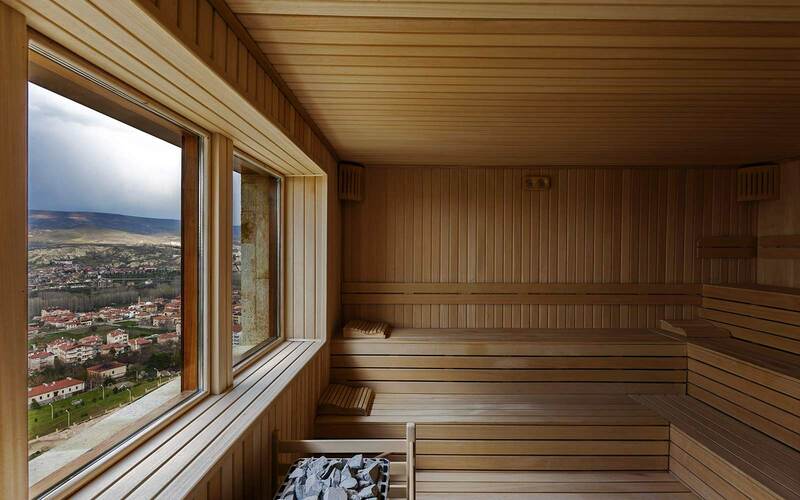 Sauna sessions also help to relieve pain and relax muscles. 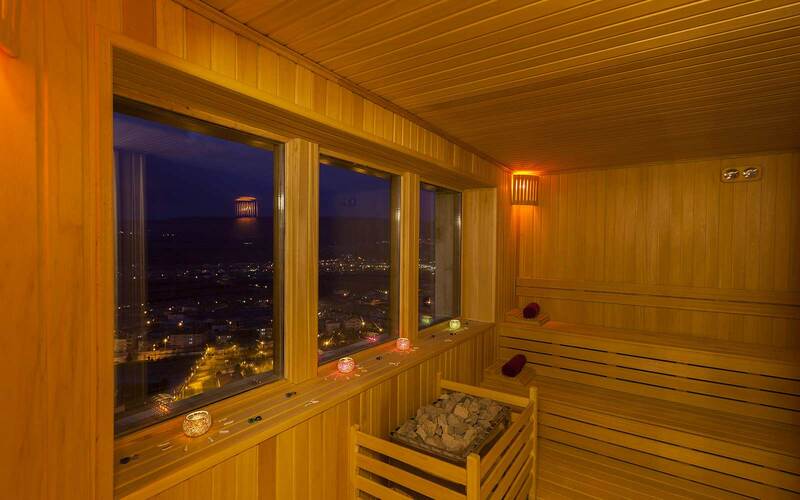 Sauna also has a beneficial anti-ageing effect, improves the skin’s condition and leaves you looking refreshed. 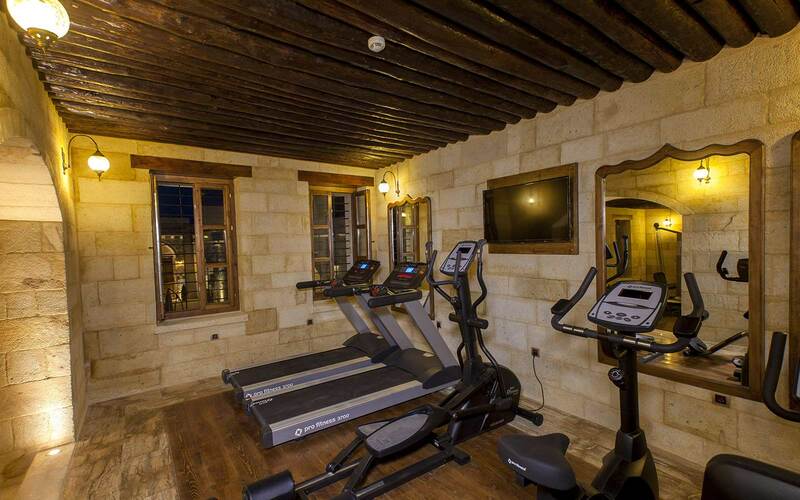 To finish off your workout or simply to relax and unwind, the excellent sauna at Kayakapi Premium Caves - Cappadocia offers a peaceful ambiance to let the heat and steam melt away your cares. 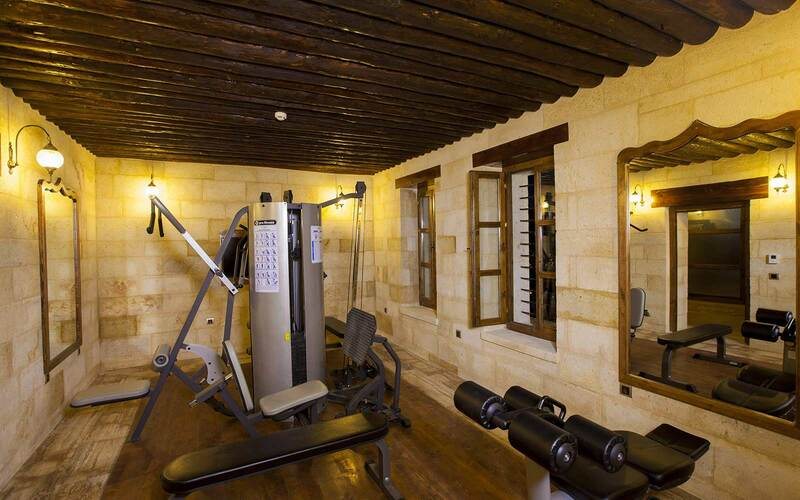 For those committed to stay fit while traveling, the fitness center of Kayakapi Premium Caves - Cappadocia offers a variety of exercise machines and free weights suiting all your cardio and strength training needs. 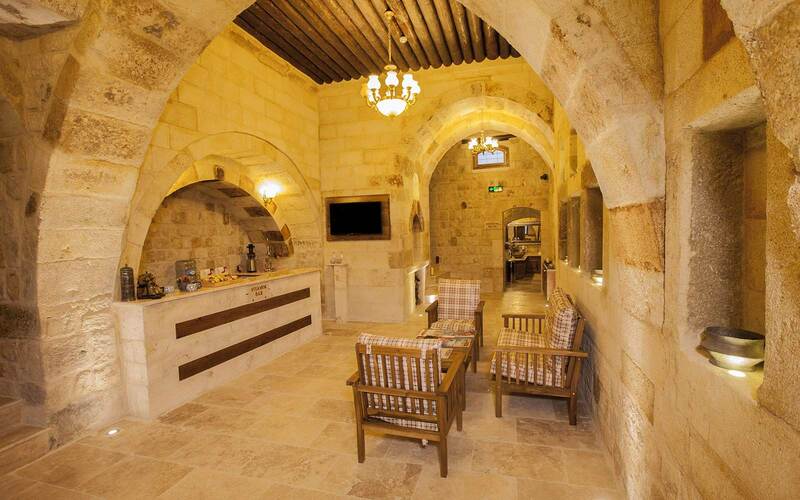 LED screen televisions are also available for entertainment. 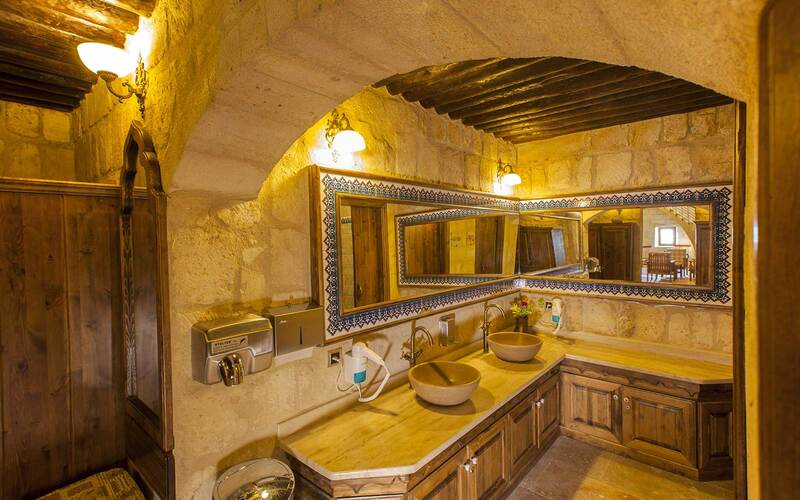 Towels are provided for free. 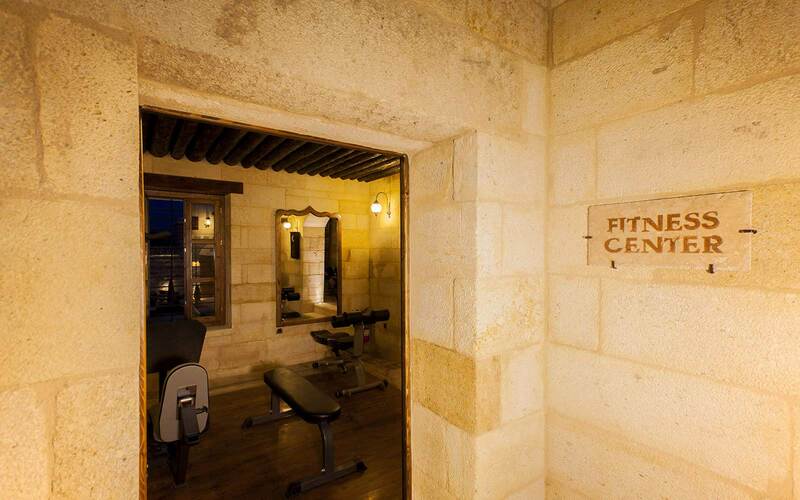 The fitness center is open everyday between 14:00 - 23:00 and is free of charge to all hotel guests of 16 years of age and older. Enjoy the best massage treatments during your Cappadocia visit. 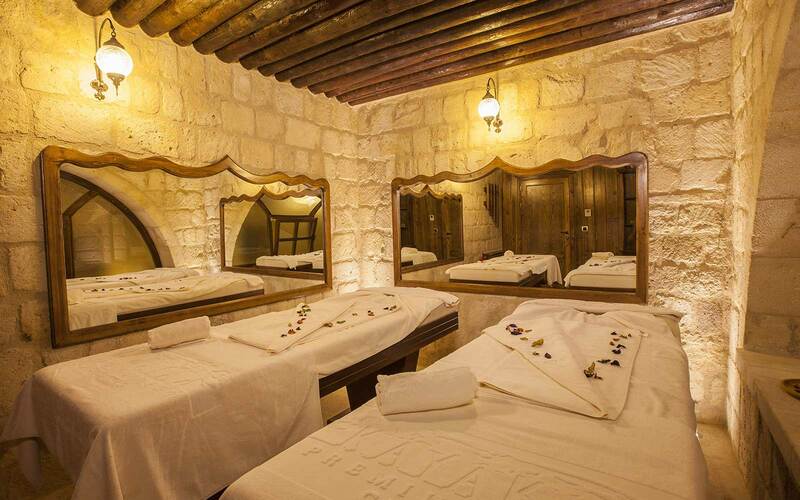 Kayakapi Spa offers high quality massage services to the guests of Kayakapi Premium Caves - Cappadocia who wish to make their visit fuller and more intensive. 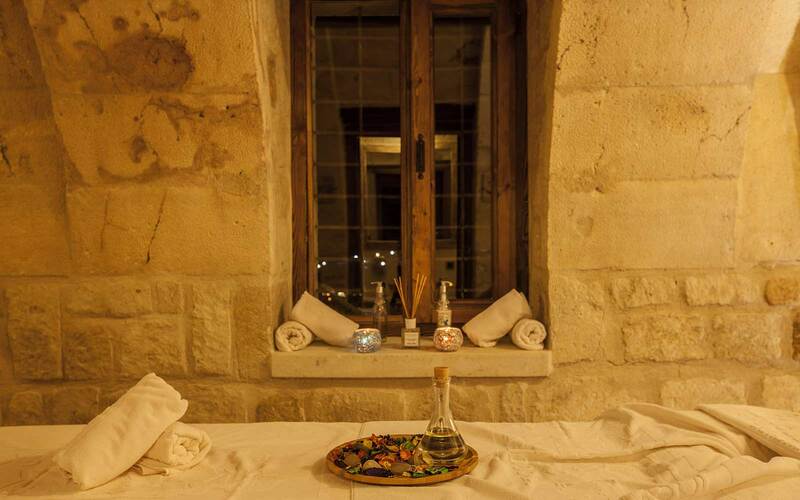 Massage treatments are of various sorts and lengths.